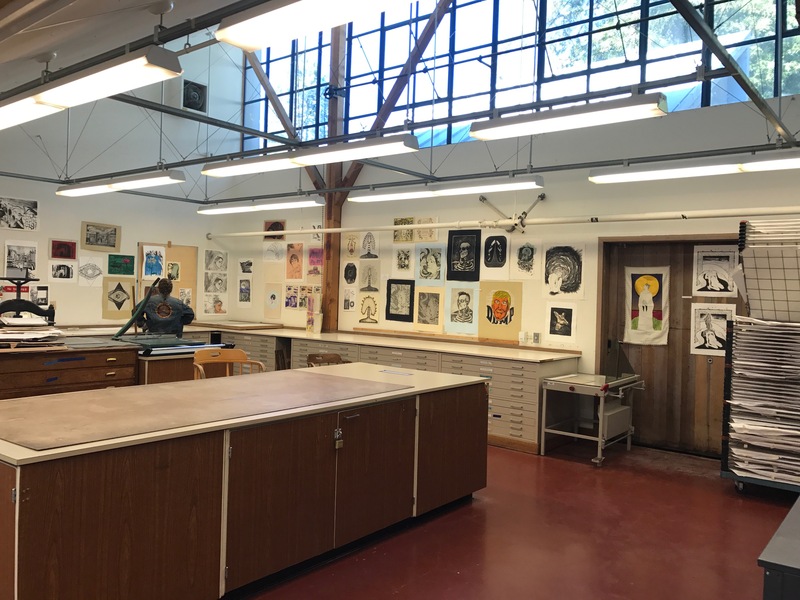 The Printmedia area contains studio space for lithography, etching, mono printing, wood block printing and digital printmaking. An adjacent archive room is used for preparing prints. Students enrolled in printmedia courses have access to this studio five days a week when a monitor is present. Additionally we have a silkscreen studio with a large photo exposure unit. 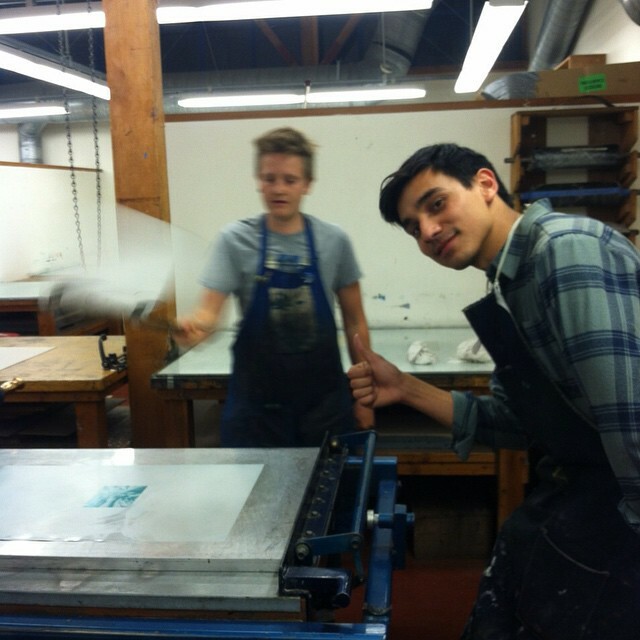 Our ARTIST ACCESS PROGRAM offers a limited number of local printmakers the opportunity to work in our exceptionally well maintained and supplied printmaking facility without the necessity of being an enrolled student or otherwise affiliated with the university. 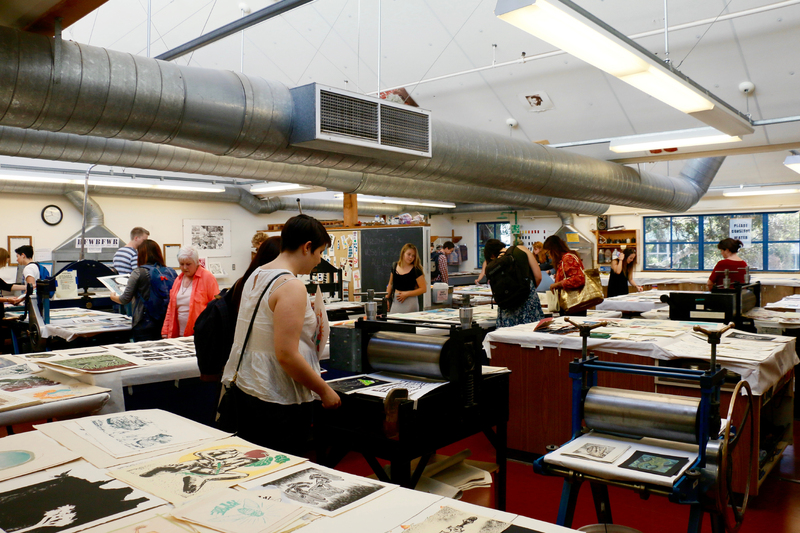 The program is geared toward providing short- and long-term communal studio space at low monthly rates to both emerging and established artists. Participants must be self-sufficient and able to work independently with only basic orientation to the studio and minimal contact with studio staff.